My Aspergers Child: What causes Aspergers and HFA? Scientists don't know the exact causes of Aspergers or High-Functioning Autism (HFA), but research suggests that both genes and environment play important roles. In identical twins who share the exact same genetic code, if one has Aspergers, the other twin also has Aspergers in nearly 9 out of 10 cases. If one sibling has Aspergers, the other siblings have 35 times the normal risk of also developing the disorder. Researchers are starting to identify particular genes that may increase the risk for Aspergers. Still, scientists have only had some success in finding exactly which genes are involved. Most people who develop Aspergers have no reported family history of autism, suggesting that random, rare, and possibly many gene mutations are likely to affect a person's risk. Any change to normal genetic information is called a mutation. Mutations can be inherited, but some arise for no reason. Mutations can be helpful, harmful, or have no effect. 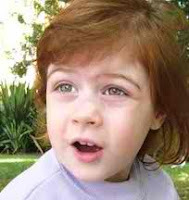 Having increased genetic risk does not mean a youngster will definitely develop Aspergers. Many researchers are focusing on how various genes interact with each other and environmental factors to better understand how they increase the risk of this disorder. As with genes, it's likely that more than one environmental factor is involved in increasing risk for Aspergers. And, like genes, any one of these risk factors raises the risk by only a small amount. Most people who have been exposed to environmental risk factors do not develop Aspergers. The National Institute of Environmental Health Sciences is also conducting research in this area. Scientists are studying how certain environmental factors may affect certain genes—turning them on or off, or increasing or decreasing their normal activity. This process is called epigenetics and is providing researchers with many new ways to study how disorders like Aspergers develop and possibly change over time. Health experts recommend that kids receive a number of vaccines early in life to protect against dangerous, infectious diseases, such as measles. Since pediatricians in the United States started giving these vaccines during regular checkups, the number of kids getting sick, becoming disabled, or dying from these diseases has dropped to almost zero. Kids in the United States receive several vaccines during their first 2 years of life, around the same age that Aspergers symptoms often appear or become noticeable. A minority of moms and dads suspect that vaccines are somehow related to their youngster's disorder. Some may be concerned about these vaccines due to the unproven theory that Aspergers may be caused by thimerosal. Thimerosal is a mercury-based chemical once added to some, but not all, vaccines to help extend their shelf life. However, except for some flu vaccines, no vaccine routinely given to preschool aged kids in the United States has contained thimerosal since 2001. Despite this change, the rate of kids diagnosed with Aspergers has continued to rise. Other moms and dads believe their youngster's illness might be linked to vaccines designed to protect against more than one disease, such as the measles-mumps-rubella (MMR) vaccine, which never contained thimerosal. Following extensive hearings, a special court of Federal judges ruled against several test cases that tried to prove that vaccines containing thimerosal, either by themselves or combined with the MMR vaccine, caused autism. my husband,2 daughters,2 grandchildren all aspergers,and we think husbands late grandfather /his mother/his uncle and cousins all present as aspergers,in original article it say often the a/s child will not have an aspergers parent,well in my experiance of being married to an aspergers man for 46 years ,the parent is aspergers but not diagnosed,it was just not possible to get people diagnosed till recently,these family members were classed as odd/eccentric,but realy a/s,my husband was not diagnosed till he was 65,only after my adult daughters were diagnosed,so in my husbands maternal side of family it seems 100%genetic,some more affected than others,but all so aspie,some are also o,c,d and some are also a,d,h,d.some outgoing agressive aspergers some very passive aspergers,very few escape the gene,out of our 3 grandchildren,only one seems clear,my views are secondedby the authorTONY ATTWOOD,in his view most a/s children have an undiagnosed parent who is a/s too,i work with a/s children also ,and do notice most have one parent who presents as a/s. Totally agree with that... Genetic weakness + all the crap we eat breath and get injected with can cause autism!!! Interesting.... my partner has Asperger's.... my son didn't show signs till her was about 4. I'm still not convinced his vaccinations didn't play a part in his Asperger's - maybe triggering it? I don't know. I have more than one child on the spectrum... we did everything right when i was pregnant and beyond... it still happened it is totally the gene makeup. it use to be years ago they would be considered eccentric and odd not handicapped. I have twin boys, identical, only one with Aspergers. I suspect a difficult birth ( cord round the neck, oxygen starvation,may have had an effect. Also, there was slight TTTS which was only apparent when they were born, my aspire son being the one who was very pale. Would be interested to see studies on identical twins that are not both Aspies.